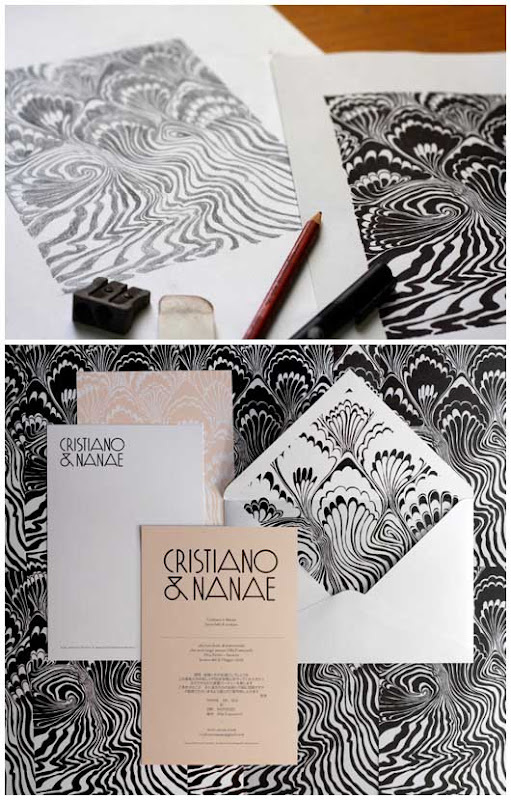 Custom wedding invitations by Suzy Tuxen (plus Suzy’s work in progress above)… stunning! 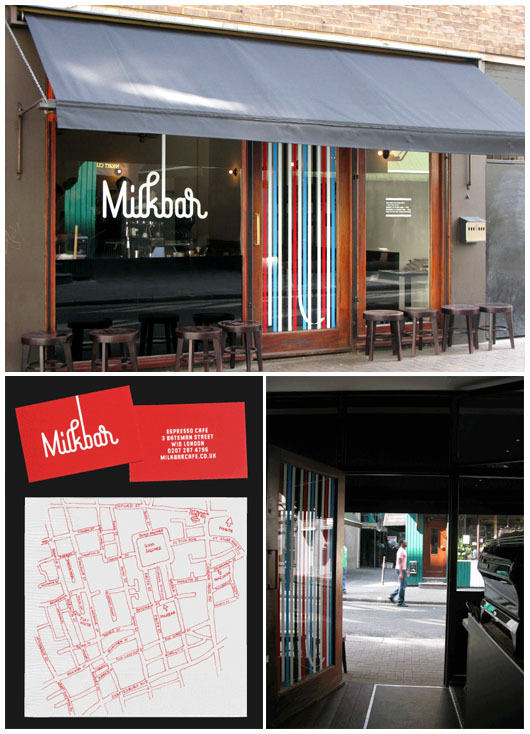 LOVE the simple, retro-inspired identity for London cafe Milkbar… and the ‘mapkin’!! Genius! Beautiful work for The Modern Flower Company in London – created under the direction of Suzy’s previous employers, London design firm Multistorey. 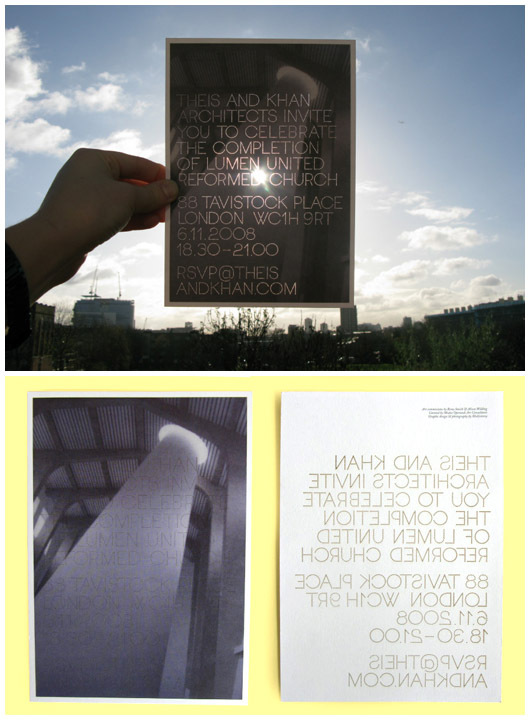 Invitation to the opening of an innovative new multi-faith worhsip centre in London called Lumen – designed by UK architects Theis & Khan. 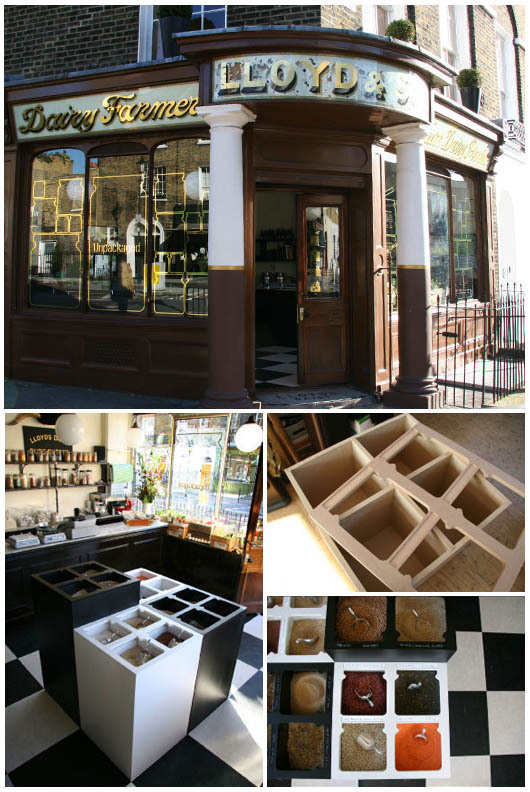 Unpackaged signage and shopfit (above) and branding (below). Read more about this unique store and the creative brief on Suzy’s website here. 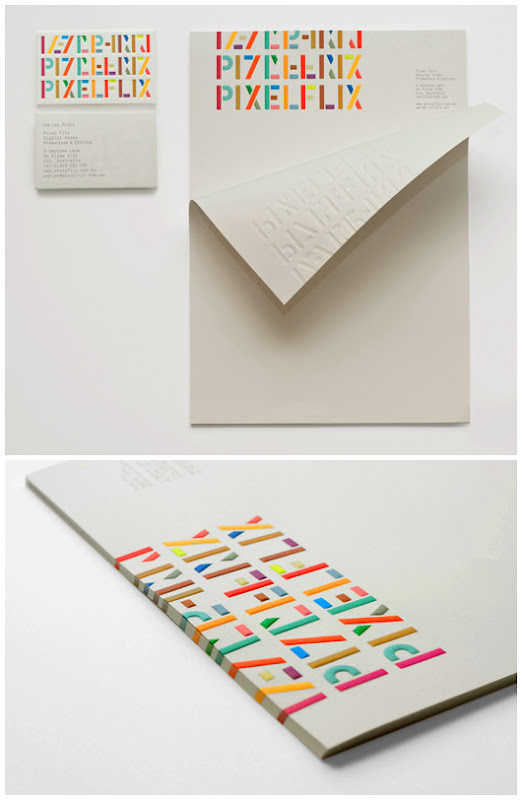 This work was produced under the direction of Suzy’s London employers Multistorey. 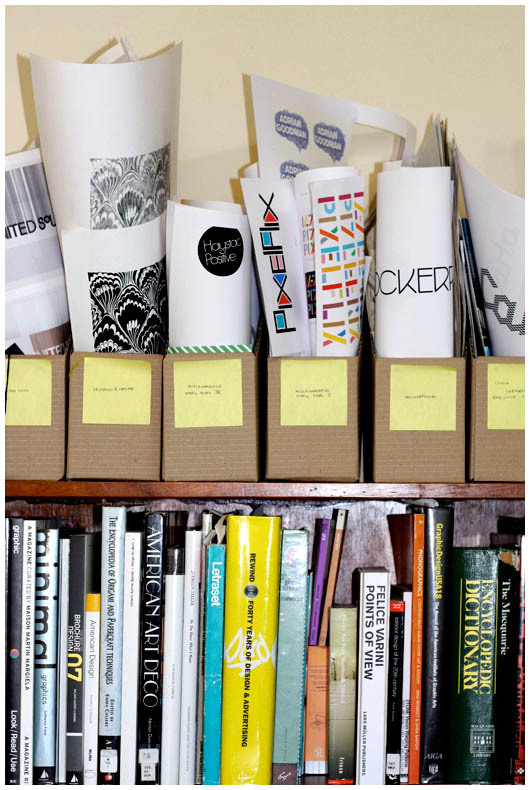 Suzy’s bookshelf… full of inspiration! 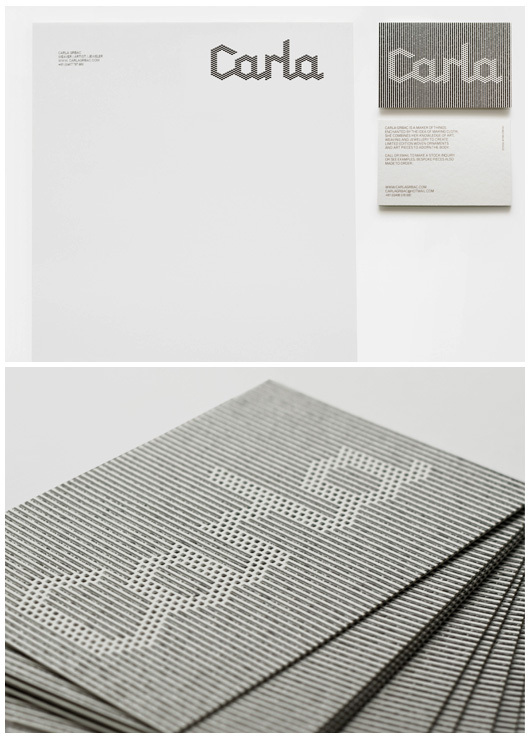 Identity for weaver Carla Grbac – Suzy’s inspired design takes inspiration from technical weaving diagrams and the large weaving loom used by Carla to create her designs. 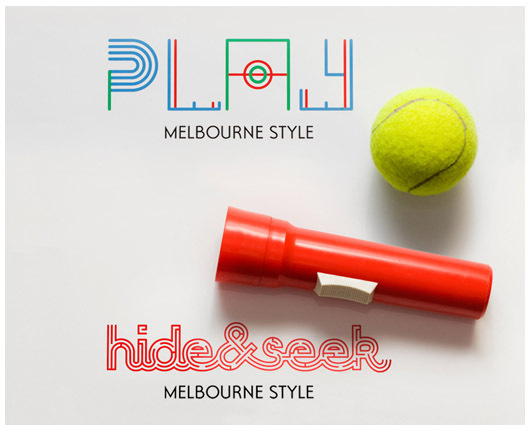 Working drawings and finished branding for Melbourne-based personal stylist Frockerphiliac. 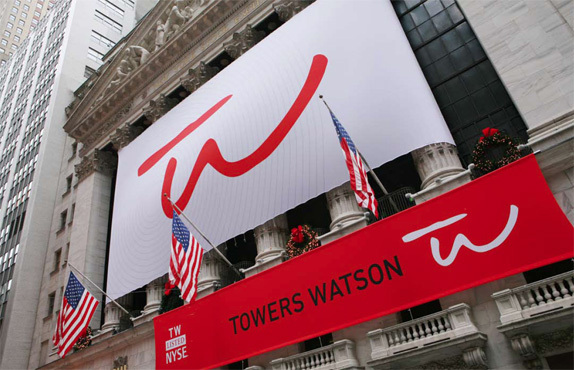 With a combined 14,000 employees in offices around the world, Towers Watson is the newly minted “professional services” firm created by the merger of the 5-year-old Watson Wyatt Worlwide and 76-year-old Towers Perrin, officially established earlier this month. Towers Watson offers services in Benefits (retirement, health and group benefits), Risk and Financial Services (insurance consolation, investments, risk management), and Talent and Rewards (executive compensation, employee rewards), all of it a nice presented package that is actually easy to understand. With a new name that literally merges the two companies, Interbrand was given the assignment to create the new visual identity. 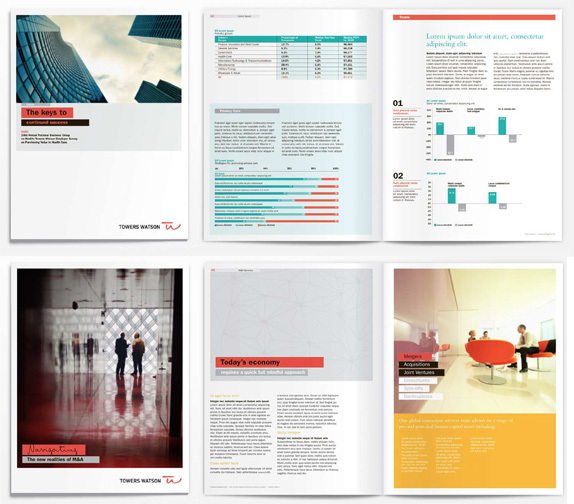 It became evident that Towers Watson’s primary strength would be its combined attention to relationships, both with clients and employees. Through workshops and discussions about personality and brand archetypes, a strategic positioning, “Clarity through perspective,” was developed that would guide and support the creative development. The new logo represents each Towers Watson’s employees’ personal commitment to its customers by “putting their names on the line” with a personal signature of the company. 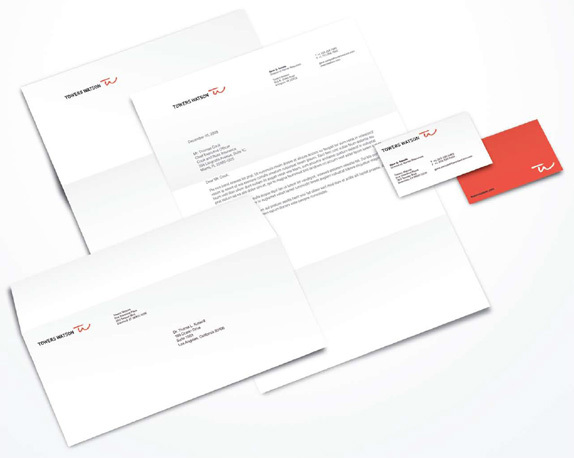 The identity is a combination of a strong, pragmatic wordmark and an approachable signature symbol. 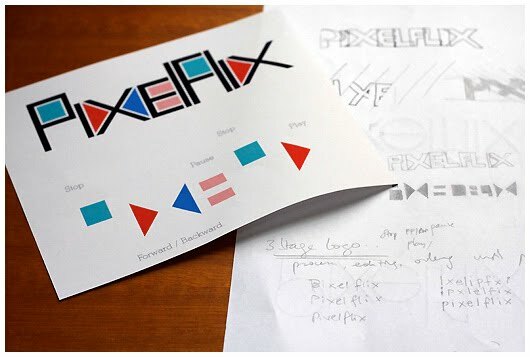 The organic, hand-drawn nature of the logo and graphic system creates a personal and distinctive look amidst the impersonal, corporate, language of its competitors. 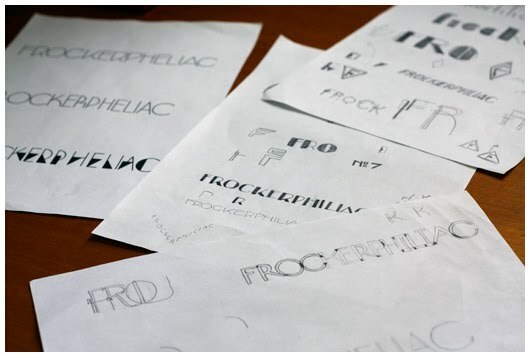 To echo the hand-drawn nature of the logo, a customized, scripted typeface was created along with a library of illustrations. The new logo strikes a pretty good balance between seriousness and friendliness. The wordmark is as buttoned-up as it gets, all uppercase and black as a CEO suit, and it’s so refreshing to not get another all lowercase rounded wordmark. Meanwhile the TW monogram is loose and dynamic and makes a nice complement in shape and color to the name. I typically don’t like to say “This logo looks like…” but I was reminded of the Wynn brand. First, formally, as it’s a signature. But, second, philosophically, as a way to humanize an out-of-scale organization. Clarity, a proprietary handwritten font for Towers Watson. Image removed by request. 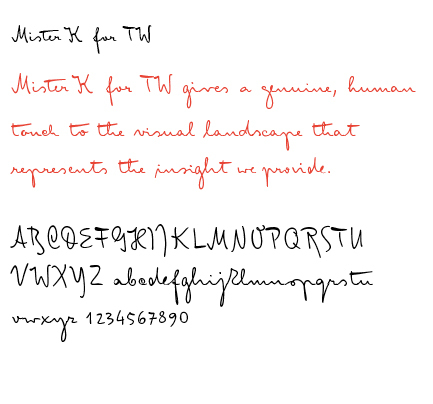 Official name of the font, “Mister K for TW,” provided by Interbrand. The applications succeed similarly in appearing fresh yet not alienating towards a business-minded audience. The thick boxes behind text is nothing new, and Franklin Gothic is fairly conventional choice, but in conjunction with the handwritten font, it all manages to feel contemporary enough. Overall, a solid introduction for this new company. 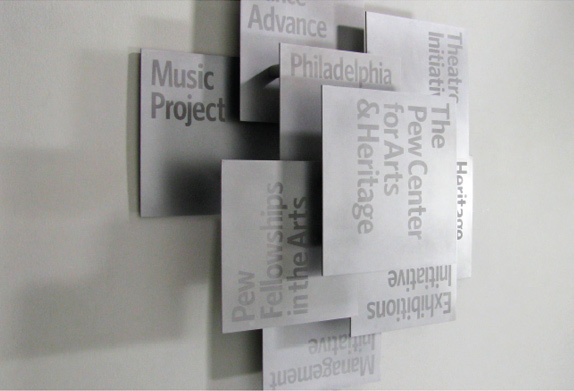 Based in Philadelphia, the Pew Center for Arts & Heritage is a collective of seven grant-making initiatives dedicated to supporting local artists and heritage organizations. Originally, each initiative had its own logo, lacking any consistency with the others. Because of that, there was no indication that it was part of a greater entity. Another problem was the absence of an umbrella logo for the Pew Center. The challenge for London-based johnson banks was to solve a rather specific client brief. Although they wanted at one level to present themselves as a unified “Pew Center,” they still wanted to show that they worked across dance, exhibitions, arts fellowships, theatre, management, heritage and music, all within the Philadelphia area. Glancing at the Pew Center’s web site — as its civilian audience will experience it, and not presented in a case study — you might think the logo to be the white square, and that the other words and colors were designed purely for the website’s navigation. 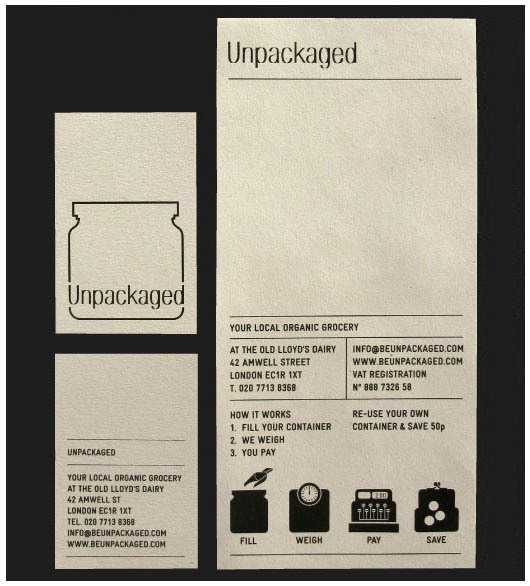 Checking johnsonbanks’ project description proves otherwise. This megalith of a logo includes the organization’s full name, the seven initiatives, the word “Philadelphia”, and a mammoth palette of eight colors. Designed to adapt to different situations, the primary logo system has three forms, each with varying scale and detail. The largest holds a record-breaking 25 words. Deeper in the system are treatments designed to push individual initiatives. Each maintains the typeface, 8-color standard, the word “Philadelphia”, and a tiny “The Pew Center for Arts & Heritage.” It’s unclear whether these are meant to be the official logos for the initiative. If so, they certainly won’t work at small sizes. Other than that, the designs show just how recognizeable and flexible the “colored cards” concept can be. Pew Center for Arts & Heritage from johnson banks on Vimeo. 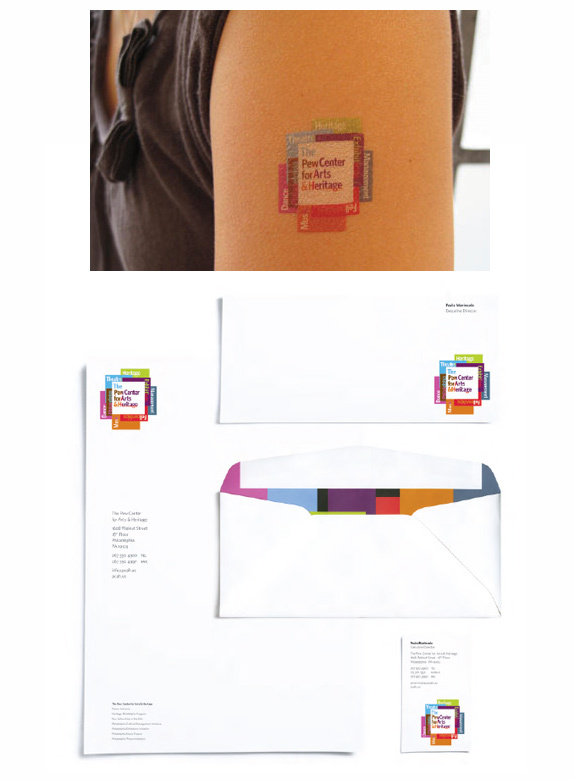 A minimal sans-in-square logo isn’t particularly groundbreaking for an art institution. What makes these logos worth noting is the ironic use of that solution — where the bombardment of simplicity creates a clutter that’s hard to miss. Aesthetically, it isn’t the most beautiful, nor the most interesting thing. A family of icons representing the initiatives would’ve been simpler to manage than type. Accusations of bad design decisions about scalability and printability are certainly expected and valid. In the end, though, it’s those risky decisions that make the logo stand out. Most importantly, the design tends to the client’s need of a flexible system that reflects the relationship of an organization and its constituents. Kosal Sen is the founder of Philatype, and an art director at Sides Media where he spends most of his time on interactive design. He is the Philadelphia correspondent for Brand New. 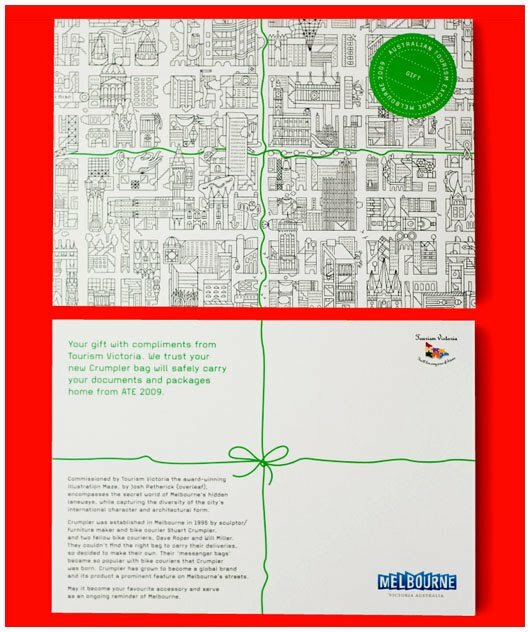 Project Team: Michael Bierut, partner-in-charge and art director; Jennifer Kinon, designer. “While the change of Lucky Strike Silver happened back in April, I only noticed it this week on shelf. What caught my eye? The simple but visually arresting vignette passing through the blue, which just goes to show that design nuance can have great impact. 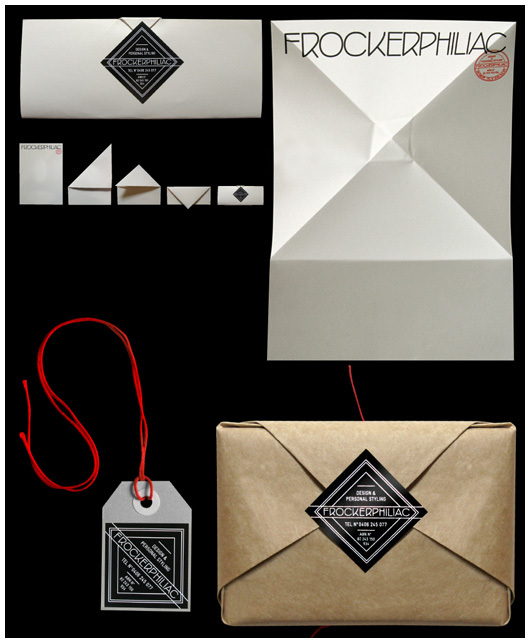 The picture above was from the re-branding’s introduction, making clever use of the cellophane overlay. In retrospect, while one admires the brand’s original belief that the icon should always be red, and the name could manage the varianting, the new design loses non of the brand’s power, but is a darn site clearer. OK, I’M SO JEALOUS RIGHT NOW! Milk packaging sure to get noticed on the shelf. Available in skim, chocolate, and whole. Identity system that fits YoungBlood’s anti-establishment DIY ethos. Website keeps patrons informed about openings, exhibitions and boutique items. A line of springtime accessories for the modern dandy. Includes an umbrella, rain boots, bowler hat, scarf, and pocket square. Oscar Wilde would be proud. Concert poster promoting a live show for Atlanta-based, electro-fuzz indie rock band, Today the Moon, Tomorrow the Sun. Screenprinted t-shirts sold at live shows and online. Website provides fans with tour dates, media downloads, news updates and an online store. Book and DVD series designed to capture the quirky, ethereal quality of July’s writing. Photography by Charles Austin. An anti-celebrity national publication that profiles a new city each month. A capital campaign for The Hetrick-Martin Institute, a safe space for at-risk gay, lesbian, bisexual, transgender and questioning youth in New York City. Case statement will be mailed to potential supporters, and postcards will be distributed in cafés in New York City. I came across this logo idea for London. You know, London is looking for a new logo and is willing to pay 600,000 pounds for it. So I’ve heard. I actually kind of liked this one apart from it’s color scale which gives it a childish look. I mean, it could be the logo of a kindergarden in London. Also the blackletter font character reminds me of Death Note anime, can’t help it. 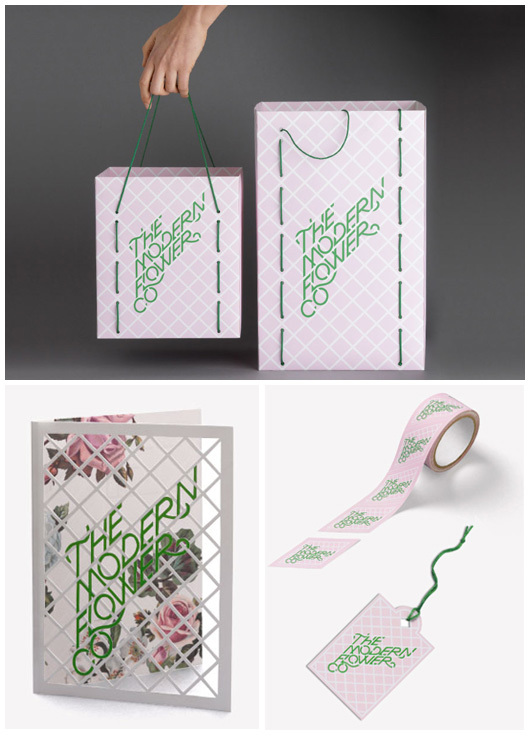 Oded Ezer, a typographic artist, logo and type designer, is also a lecturer and a typographic experimentalist. His studio is located in Israel. I would like to buy this book! And not just because of the tagline, believe me!